Catholic Fried Rice: Be. Loved. The first word is "Beloved". In these Letters from John, it's constantly beloved, beloved, beloved. And it makes me wonder, is he talking to me? Am I His beloved? I then thought of the break up of the word----> Be. Loved. I know a girl who's looking for love in a boyfriend, but has yet to accept Christ as her love first. Be. Loved. I remember myself jumping from relationship to relationship getting punch drunk on love, even claiming I had a relationship with Him, but putting my heart there? Be. Loved. I remember junior year of college, one of the hardest and longest things I prayed about was asking the question to Jesus, "Do you love me?" And then finding the courage to accept it. And believe it. Be. Loved. Now when I ask that question, it's almost like a pick-me-upper. I have to laugh, because I imagine God shaking his head, giving me that look sarcastically saying, "Are you really asking me that?. "And then I'll say, "I know, I just like to hear you say it." "Yes, I love you, Matt." Be. Loved. One time I asked Him if He loved me, and then we both looked at Mimi, the best gift He has ever given me, and we both kind of laughed out loud. If she's not a sign that He loves me, I don't know what is. Be. Loved. Last summer I went to Costa Rica and I had one of my favorite priests tell me something I still try to do today. He said that whenever he kneels in front of the exposed Blessed Sacrament, he tries not to say anything, and just waits and listens. I've tried this numerous times and it often feels like I'm basking in His love. Be. Loved. 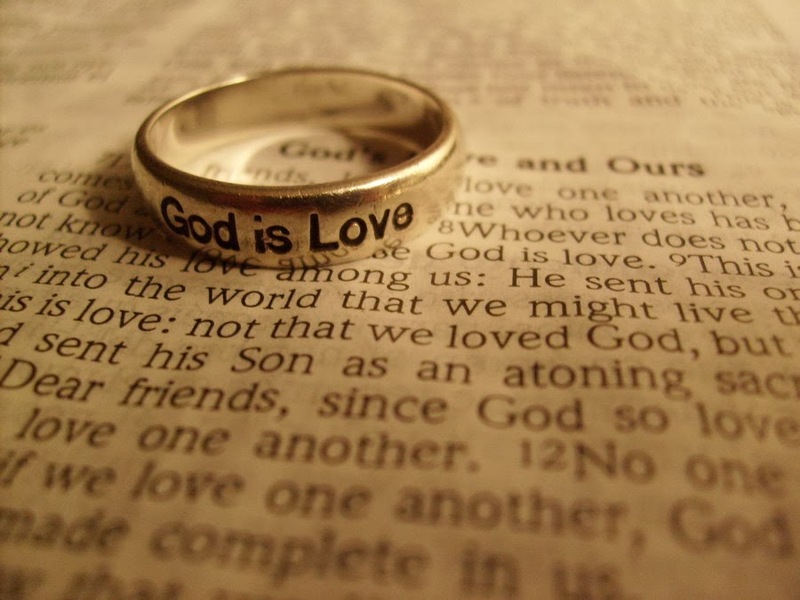 Verse 8 says, "Whoever is without love does not know God, for God is love." I remember junior year of high school, the Friday before I went on Search 137, someone had written on the back of the Public School chair in front of me, "God is Love and Love is Real." I went on the retreat and on Sunday, I had realized those words were fact. Be. Loved. In 2010, Mimi broke up with me because we both weren't ready. That next year apart, I focused my relationship on God, and out came this intimate, almost-weird-but-not-weird-at-all, loving relationship between the Him and me. I came back, and Mimi saw a different Matt. It was only then that I had the loved possessed in me to give to her. I first felt loved by Him so I could love her. I'm sorry Lord for the many times I fail to love you. Thank you for never failing to love me.